Spam robocalls are not just an annoyance for U.S. consumers. A new report by Hiya, a call-blocking app company, shows it’s a global problem. The company’s first Global Robocall Radar Report, released at the Mobile World Congress in Barcelona, estimates that machine-generated spam calls grew 325 percent to 85 billion worldwide. The report was compiled using an analysis of more than 12 billion calls per month worldwide. It found that Spain, the UK, Italy, France, Argentina, and the United States receive the lion’s share of these nuisance, and often fraudulent, calls. “As spam calls continue to skyrocket globally, the demand for protection from unwanted phone calls has increased drastically,” said Alex Algard, CEO of Hiya. “By combining industry-leading call spam detection with a solution that ensures calls from legitimate businesses are properly identified, it's our mission to make sure everyone across the world can confidently answer their phone again." In the U.S., Federal Communications Commission (FCC) Chairman Ajit Pai has delivered an ultimatum to mobile carriers to find ways the shield their customers from robocalls or face potential regulations that will do it for them. In November, Pai said he wants the industry to find a way to authenticate incoming calls so that scammers can't “spoof” other phone numbers to disguise where the call is originating. Pai has named stopping illegal robocalls as the agency's top consumer priority. But while preventing “spoofing,” may be helpful, it won’t prevent the calls from being made. Lawmakers on both sides of the aisle in Congress have also pledged to work in a show of rare bipartisanship to adopt legislation that will also stop robocalls directed at consumers. It might come as a surprise to U.S. cell phone customers, but the U.S. is number six on the list of nations getting the most robocalls. 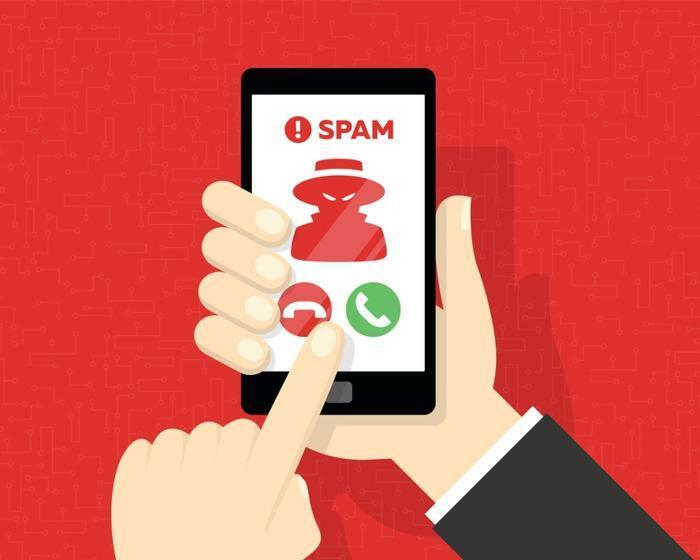 According to the Hiya report, Spain is the global leader in these spam calls, with the average cell phone customer in that country getting nine robocalls a month, a spam rate of 24 percent. The UK is next, with an average of seven robocalls per month per mobile customer and a spam rate of 22 percent. Italy is third with an average of six calls per user per month and a spam rate of 21 percent. In sixth place, the average American cell phone user gets seven robocalls per month with a spam rate of 10 percent. Spam robocalls typically are trying to sell something of dubious value, and some are outright scams. Among the current robocalls bombarding U.S. consumers are pitches for worthless health insurance and enticements to purchase timeshares.